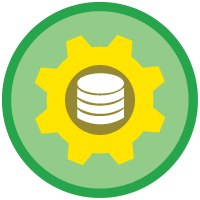 I’ve always thought I wasn’t a fast learner, but after doing Trailhead’s hands-on challenges, I’ve come to realize that I just learn better when I’m getting my hands dirty, and when there’s a bit of humor as well. 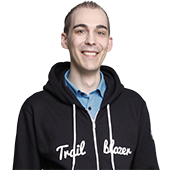 Describe your first encounter with Trailhead. I remember sitting at home and watching the Dreamforce 2016 Admin Keynote online. I was so motivated to start learning that I instantly signed up for Trailhead and started down my first trail, the Admin Beginner trail. Once I got started on Trailhead and saw how fun it was to learn, I promised myself that I would become a Salesforce Admin within one year. 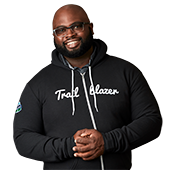 I was motivated to start learning on Trailhead because of the awesome Admin Keynote and realizing how important Salesforce skills are. I would say I keep coming back to Trailhead because I hate finding issues in Salesforce that I cannot solve myself! I don’t like having to wait or rely on someone else to fix things. That is probably what keeps me coming back for more badges, more than anything. I like how I can quickly go to Trailhead and learn a new skill to troubleshoot. When clicks don’t cut it, I learn to solve with code. Trailhead has it all. My biggest win must be earning my first job as Salesforce Admin. When I was working as a Customer Service Team Lead at a previous employer, I took the day off to sit for my first Salesforce certification. When I received the email confirming my certification, I immediately forwarded it to the IT manager of my company. I explained to her that it would be great to be able to stay at the company, but that I was looking for transfer into becoming a Salesforce Admin. It wasn’t instant, but a few months later I was hired as the CRM Specialist! Trailhead helps me do my job better because it takes me down paths I wouldn’t normally walk down. Every so often I earn a badge I wouldn’t ordinarily be interested in just because I want to complete a trail. Sometimes those badges end up being real gems and I’m able to use the tricks they teach me in my day to day work. A Trailblazer is someone who instead of settling for the backseat of an old car, takes part in discovering new ways of transportation. Someone who is motivated by thinking “out of the box” and coming up with new solutions. 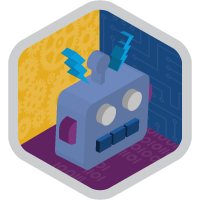 I’ve always thought I wasn’t a fast learner, but after doing Trailhead’s hands-on challenges, I’ve come to realize that I just learn better when I’m getting my hands dirty, and when there’s a bit of humor as well. That is something I try to take with me when doing user training too. Everyone learns better when they get hands-on. Did you study to get to where you are today? Actually, I studied to be a music producer, so Salesforce was kind of a happy accident. 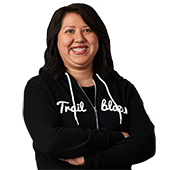 Being a Trailblazer means keeping up with all things new in the Salesforce ecosystem, to sit in the front row and soak it all in. 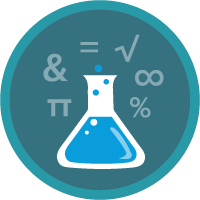 Innovations keep on coming to the platform, which means I will always be busy learning what’s new on Trailhead. 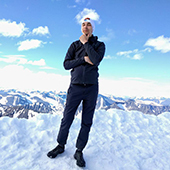 What message do you have for people that are considering Trailhead? 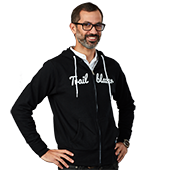 It doesn’t matter if you’re an end user who want to learn a bit more or an experienced java developer who is considering Salesforce, you will easily find a Trailhead badge that fits your interests. But I should warn you – after earning your first badges you might get addicted. I’m very proud to say that I have my dream job right now, and still there is room to grow even more in the Salesforce ecosystem. Start with the basics. I know it’s tempting to skip ahead and go straight to the more advanced stuff, thinking it will be more fun. But just like cheating to win a game, you're missing the point if you only value the finish. Make sure to build a solid foundation. A Trailblazer is not someone “just chasing badges.” A Trailblazer is a dedicated continuous learner, who aspires to share their knowledge.